Appliqué this cute snowman block using any method you want, from white fabric. Use a 9" x 9" piece of blue fabric for the background that indicates a daytime winter sky. Appliqué a black hat and add your own bright scarf. Feel free to either use the hat and scarf in the pattern or add your own. You may embellish him anyway you choose - eyes, mouth, buttons, ribbon, pipe (or you can omit the pipe if your snowman is "non-smoking") etc. I had a lot of fun sourcing a template for this block. On browsing the net I kept coming up with the image but for some reason I couldn't get the image into the right size in a template format. Eventually (and by accident) I came across this exact image in EQ7 so I was ecstatic to finally be able to complete this BOM with all the right images. One website or blog I came across (but now can't remember) suggested making a family of snowmen blocks. I think they had several different sized snowmen on the same block - so cute! You will need to re-size this snowman to do this or be creative to create your own family members and friends. 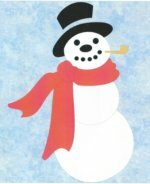 I'm sorry that my snowman isn't very politically correct but to me a snowman is always smoking a pipe - please remove this to suit your own needs. Add arms, buttons, different clothing or a different hat. 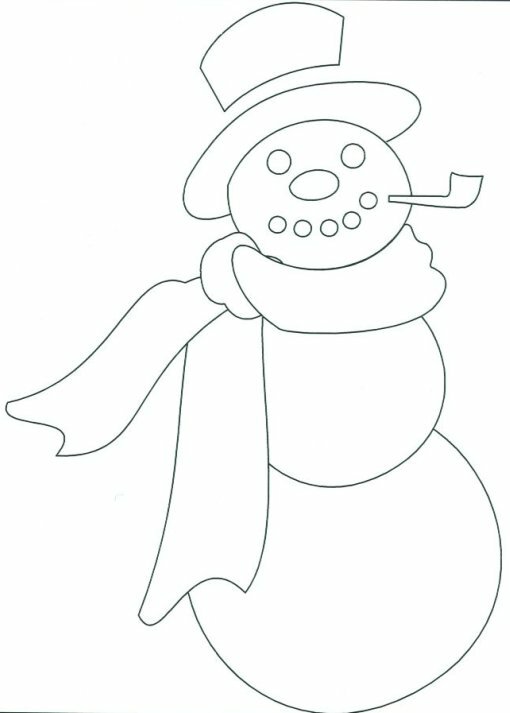 You could also change the theme of this snowman by removing the pipe and adding a carrot. Have fun embellishing the block anyway you choose! You may want to make a friend for your snowman, either on the same block or as a separate block. Families also welcome!